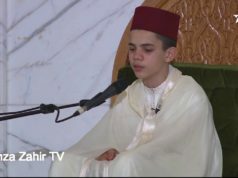 Rabat - “The most beautiful religious building in the world”: this is how French-German television channel ARTE described Morocco’s largest mosque, Hassan II. 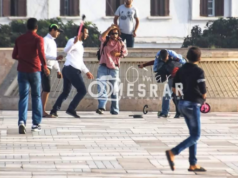 Rabat – “The most beautiful religious building in the world”: this is how French-German television channel ARTE described Morocco’s largest mosque, Hassan II. 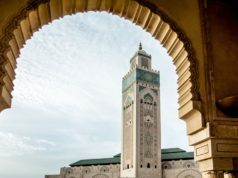 The channel has broadcast a seven-minute video reportage about the Moroccan mosque, giving its audiences a breathtaking views of the mosque and its surroundings from the sky. The reportage tells the story of one of the largest mosques in the world, whose minaret is 210 meters (689 ft). 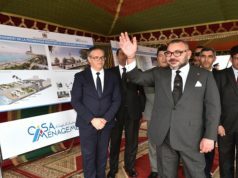 “Here is the monument of a century and the dream of a nation due to the will of its King the commander of the faithfull late Hassan II, who created one of the most beautiful mosques in the world,” notes the ARTE reporter. The religious site was built partially on land and partially over the Atlantic ocean in a space of nine hectares. 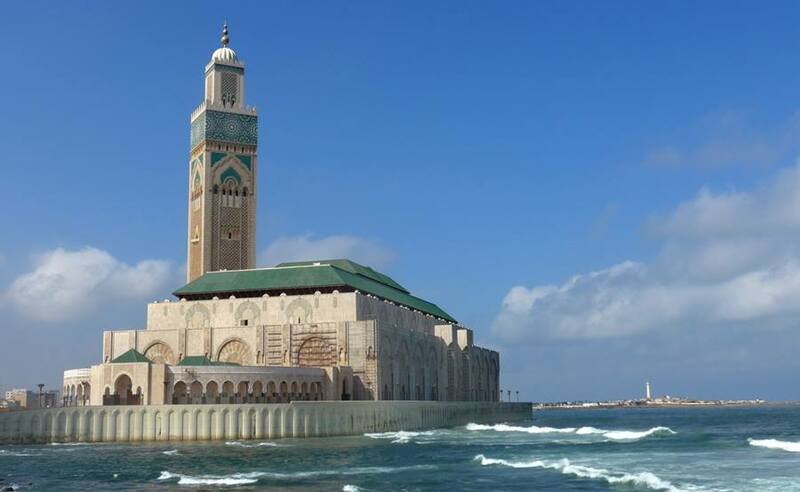 The mosque was commissioned by late King Hassan II on July 9, 1989 and was completed on August 30, 1993. The mosque is fashioned out of materials from around the country: marble from Agadir, cedar from the Middle Atlas and granite from Tafraoute. The mosque’s historical architecture was inspired by Moorish designs. “The mosque has an architecture as found in churches. This represents first of all innovation in architecture, but also shows how Morocco is a country that includes several religions living together in peace,” a tour guide told ARTE. A number of international TV channels have landed in Morocco to explore the beauty of the Hassan II mosque, including Qatari TV channel Al Jazeera with its Al Moussafir documentary.